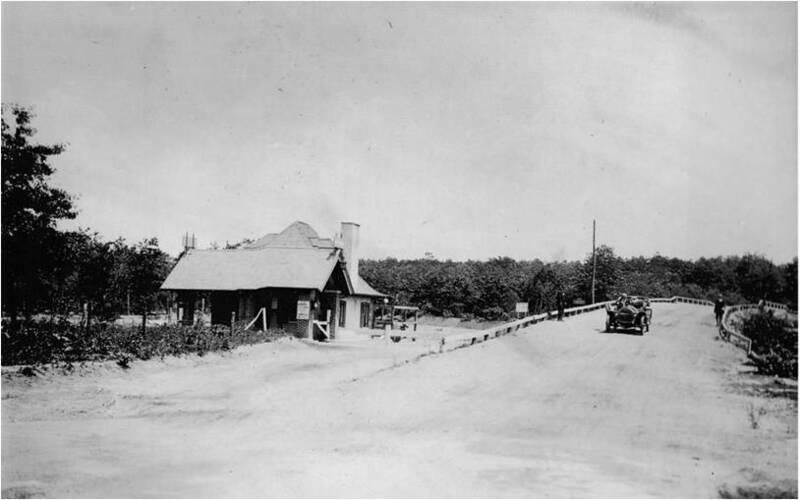 In this 1911 photo, one of the original Motor Parkway toll lodges- the Bethpage Lodge- was on the left. 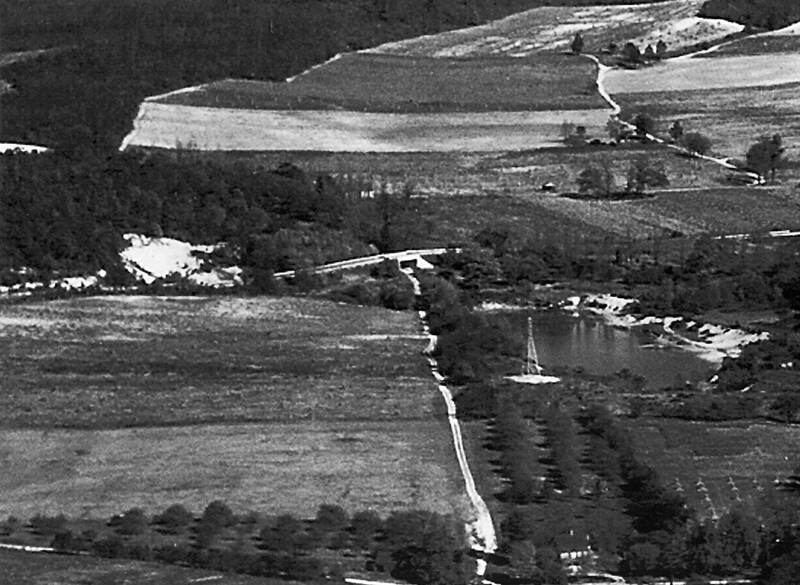 The bridge over Round Swamp Road can be seen on the right. 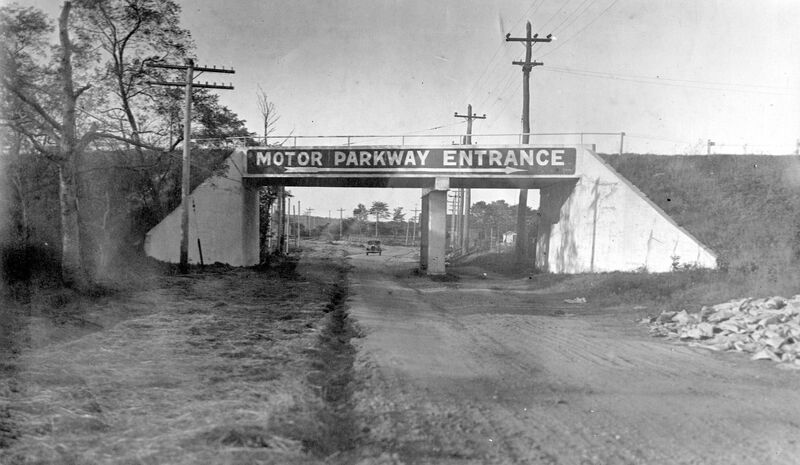 The Round Swamp Road Motor Parkway Bridge under construction in 1910. An aerial view of the Claremont Road Motor Parkway Bridge. 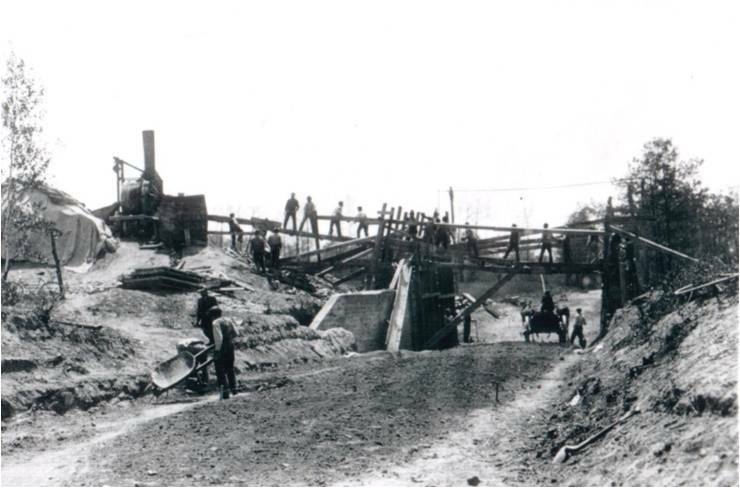 In the background was farm land that became part of the Old Bethpage Restoration Village. 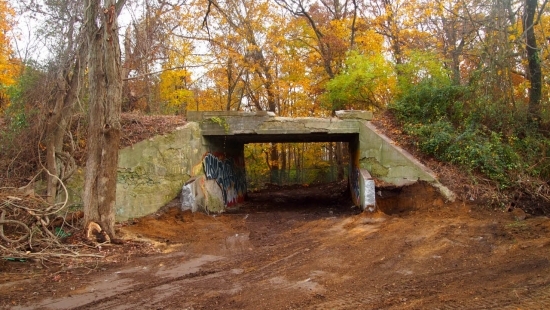 The Old Bethpage Motor Parkway Bridge located in sotheast section of the Restoration Village. 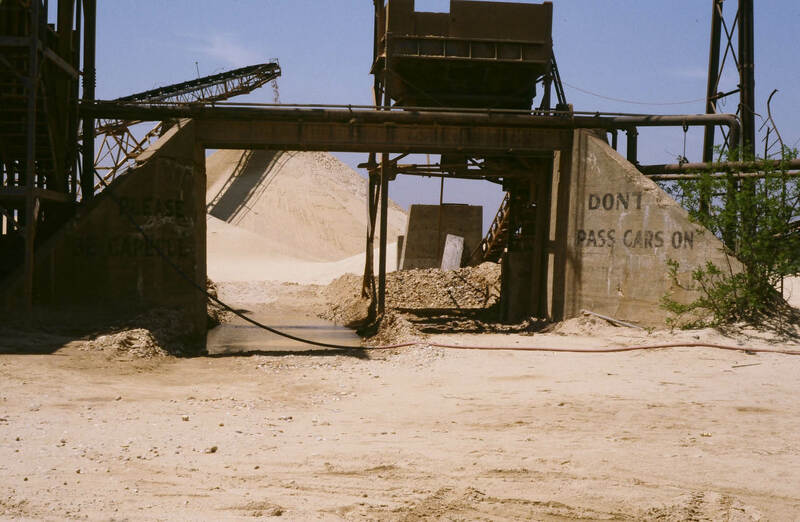 The Melville Sand Pits Motor Parkway Bridge as seen in the 1980s. Is the bridge still standing? The Broad Hollow Motor Parkway Bridge looking north. The signage indicated the parkway entrance through the Huntington Lodge.